Are you looking for a fast-paced environment where you can blend your technical curiosity and experience with your passion for helping others (in this case, our customers) succeed in overcoming some of their biggest digital transformation challenges? If so, look no further. We want to talk to you! 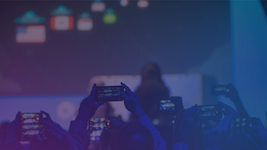 The world needs perfect software and Dynatrace works with some of the world’s leading brands to deliver this, including Adobe, Samsung, Verizon, Starbucks, Virgin Money, Ford, and Experian. 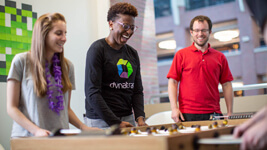 Our Dynatrace ONE team takes the core principles of Agile software development and applies them to delivering amazing customer experience to these and our other 2,000+ customers around the world. 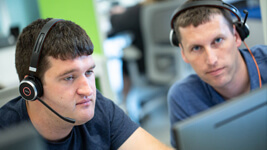 We bring together customer success, customer service, and technical consulting disciplines into cross-functional “squads” with a single focus—to make our customers successful. 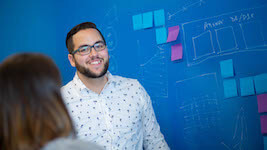 As a Product Specialist, you will use your product and industry expertise to accelerate product adoption, drive user satisfaction, and provide strategic consulting to our customers. This is done primarily through providing in-product assistance (chat), customized coaching sessions, and product onboarding. Through these customer engagements, you will have the opportunity to educate our customers about our latest product enhancements and how to get they can the most value from them. 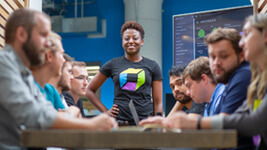 Since Dynatrace ONE is embedded into our product, you will be the voice of our product as well as provide the voice of the customer to our product management and Dynatrace leadership teams. We would also love you to join us at local conferences and meet-ups to share how our automated, full-stack, AI-powered monitoring platform is helping our customers lead their industries. This role is based in our Barcelona, Spain office, where Dynatrace is quickly expanding and has one of the most diverse technical expertise in the industry. Respond to product inquiries and provide assistance to customers via chat (primary), email, web conference, and phone. Assist customers with their deployment, configuration, problem triage, and troubleshooting of Dynatrace’s software intelligence platform. Provide customized recommendations and best practices to customers on how to use Dynatrace to monitor the application performance, cloud infrastructure, and digital experience of their critical applications. Deliver live demos of Dynatrace’s all-in-one monitoring solution for a wide range of users (technical and non-technical). Assist Customer Success Managers and Sales in identifying new expansion and revenue opportunities. Use your knowledge and experience to help build our collective knowledge through stand-up meetings, ad-hoc brainstorming, and team enablement sessions. Identify, offer solutions, and take initiative to automate or streamline any processes or task that takes away from our first priority—our customers—in order to reduce workload, increasing scale, and provide more value to customers. Bachelor’s degree in Computer Science, Information Technology, or related work experience. 1+ years of work experience in a customer services team (e.g. technical support, consulting, sales). Knowledge of networking, protocols, and architectures such as TCP/IP, HTTP, DNS, SSL, and BGP. Familiarity with database design, SQL, and data access practices. Exceptional corporate presentation and relationship-building skills. Must have exceptional English written and verbal communications skills. Additional language skills preferred with French, Italian, Spanish, Portuguese, and Japanese being preferred. Flexible work schedule as you may be required to work non-business hours and weekends. Flexible – we are dynamically changing and adapting. Positive – even in the face of adversity. Proactive – not waiting to be told what to do. Motivated – self-starter who excels in fast-paced, team environments. 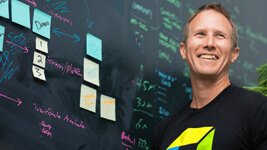 Innovative – always learning and contributing to fresh ideas. After your training in the US, you will take over the role as Product Specialist at our office in Barcelona. Have we made you curious about starting your career at a global leader, with flat hierarchy and open-door policy? Then join us and be part of a brand-new, SaaS-driven, agile customer experience organization! We offer a higher salary in line with qualifications and experience.